Link installs the latest high-definition video surveillance equipment. Megapixel cameras with resolutions as high as 1080p deliver rich, detailed images in unparalleled clarity. 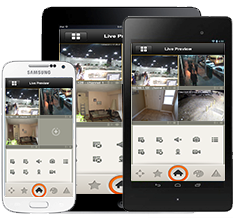 All systems come with Link’s free app for viewing your cameras while your on the go on your iPhone, Android, Tablet, or Laptop. With video surveillance, the proof is in the details. 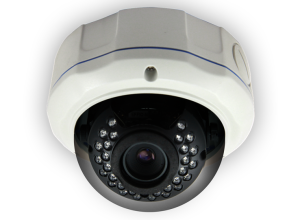 Unlike traditional analog systems installed by many of our competitors, Link’s IP based HD cameras systems don’t suffer from grainy resolution issues. 3 year labor on cameras and recording hardware, including the hard drive! Secure. While viewing your video from your smartphone or tablet, it’s encrypted with the same type of security that banks and e-commerce websites use. We’ll connect the network video recorder to your HD television via HDMI, which will allow you to view the cameras in all of it’s 1080p glory. Your video is stored and encrypted on a surveillance-grade hard drive. We’ll configure your system to maximize recording time while maintaining a high resolution and frame rate. Your network video recorder can be setup to notify you via email when the cameras detect motion.